New Year, New You. Again. Lots of people make New Year resolutions…every year, around this time – most of us set a goal either in our head or one we share with others. Most of us want the next year to exceed the ones past. I’ve noticed that some of you are quick to post memes and status’ about how other people “not gon’ really change,” meet their goals, ETC. 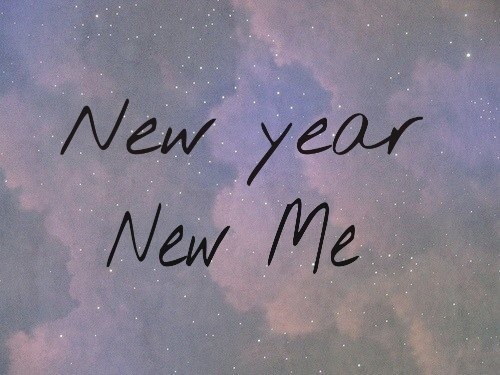 Talking down on the people who say, “New Year, New Me.” I think that’s pretty sad. Who are you to down someone else’s efforts, goals, aspirations (whether they meet them next year or not)? Shouldn’t you want to see people do better than they were doing before? Just proof that there are people around you that are hating on you #lowkey and HOPE you don’t meet your goals. Maybe, just maybe that will make them feel better about the ones they haven’t reached or set for themselves yet. I believe in setting goals…so to all you GOAL SETTERS like myself…No, “you didn’t/don’t have to wait until the NEW YEAR to change.” – BUT, if you are/did, I wish you NOTHING but the best. May 2016 be “your year.” ❤️ CHANGE IS HARD!!! Don’t listen to the people telling you to quit before you even start. I pray you develop the discipline you need to meet whatever goals you are reaching for! I’m rooting for you. Exactly! I hate when people say things like that. Don’t try and downplay me for setting goals for MYSELF! Thanks for your feedback! And yes it sure will!! !